Her power: Lara is a scientist from an advanced civilization. As a Kryptonian, she also has the hypothetical ability to absorb yellow sunlight and use it to give herself powers like flight, invulnerability, and superstrength. Her story: Lara Lor-Van appears in Man Of Steel, alongside her husband, the Kryptonian scientist Jor-El. Shortly before the planet’s destruction—and in contravention of planetary custom—the pair have a child using natural methods, the future Superman, Kal-El. 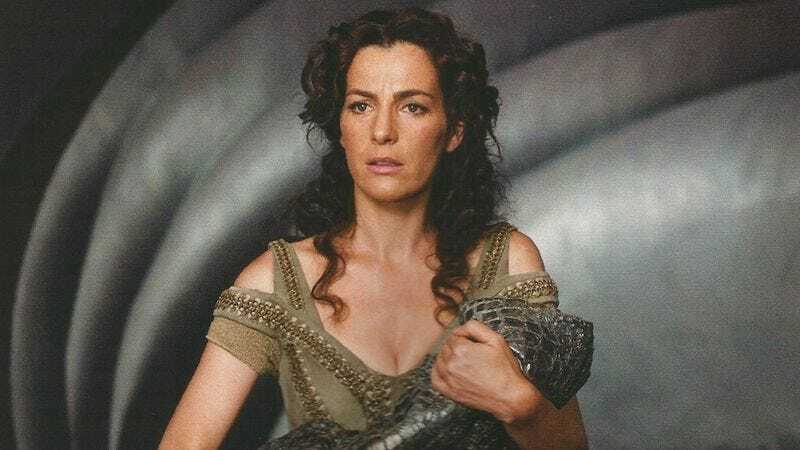 Despite the knowledge that Krypton is dying, Lara hesitates to follow her husband’s plan and sends their child to safety in space, but quickly changes her mind once General Zod launches his coup against the planet’s council. As Lara works to launch Kal-El into space (along with the Kryptonian Growth Codex, a blueprint for the species’ genetic code) Zod kills Jor-El. His rebellion is swiftly crushed, and Lara is present as the general and his followers are sent into the Phantom Zone. She then returns home and is killed when Krypton is finally destroyed. Currently, Lara Lor-Van is: Dead, along with her husband, her homeworld, and the vast majority of her race. Where will we see her next? Given that Lara didn’t get the same “copied into an AI” treatment that her husband did, it seems unlikely that we’ll be seeing her ever again.